Heartlybeats, Kry Wolf, Joët, Pele & Shawnecy, Mkdj and more. This show was 3rd in the global trap chart and 13th in the global edm chart. This is my latest mixtape which includes some of the music styles I recently fall in love with, and I hope you all like it!! 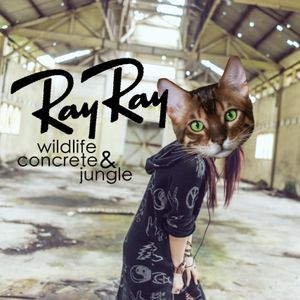 I use a lot of tribal & moombahton tunes, so that&apos;s why I named my mixtape &apos;WILDLIFE & CONCRETE JUNGLE&apos;. ENJOY!! Music is an irreplaceable element in the life of DJ RayRay. She spun her way into the Hip-Hop scene when she was only 15. Through the spinning turntable, she implants her life full power into the grooving of music. Her music flows from Hip-Hop, Jazz Hip-Hop, Old School up to high paced Funk, Disco and Electro. Diversity of her music is churned from her turntables day in day out. Now, RayRay is working on her first EP, and performing around the world. Soul is what powers her music. DJ RayRay- Personality Speaks Within Music.